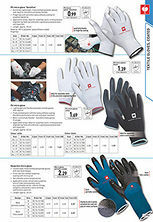 Thanks to the use of various coats, the hands are well protected in coated textile gloves whatever the task. Depending on the gloves chosen, the wear-resistant gloves offer excellent dexterity and are resistant to oil, grease and wet. Non-slip grip under light to heavy loads. 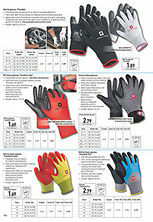 Thanks to the polyurethane coating – the gloves are liquid-repellent and highly durable with an excellent grip. Gloves with a polyurethane coating are used wherever high mechanical loads and sharp materials are expected.